We are a small company and believe that our smaller volume keeps us in direct contact with our clients and their requests. We believe in quality above all, which along with our smaller volume and attention to detail is what will distinguish a project by Paradise Coast Construction from larger volume builders. We have the “do it right the first time” mid-west work ethic, and a proven ability to complete projects on time and within budget. We have the tools and resources to build or renovate a home or condo from start to finish. We take pride in our work and will not cut corners at the expense of our clients to save time or money. Our worksites are kept clean, safe and run efficiently. We realize that building or renovating a home or condo may be one of the largest investments that our clients will ever make, both financially as well as emotionally. We understand that the process can be overwhelming and are here to guide you throughout the entire process from design, budgeting, and material selections… answering all of the important questions along the way. We believe that happy clients are what make Paradise Coast Construction successful, and we strive to make the entire process rewarding and enjoyable for everyone. ES Homes, LLC is a licensed General Building Contractor with over 35 years of experience in the residential construction industry. Our team consistently delivers quality workmanship, timely project completion, and responds promptly and dynamically to the needs of our clients. ES Homes, LLC is dedicated to providing a Cooperative Building approach, which promotes solid working relationships between all team members, to every project that we undertake. This type of approach creates an environment of trust, prevents disputes, and facilitates the completion of a successful project. Our Estimating/Purchasing Department has been and will remain diligently active in the competitive bidding market and will maintain and continue to develop an extensive following of qualified subcontractors and suppliers. Consistently having the most skilled tradesmen and competitively priced suppliers at our fingertips offers many advantages to our clients, which extend far beyond the quality and pricing of their project. Our Project Management Team will continuously demonstrate their unwavering ability to complete complex construction projects, on-time within the allocated budget, without compromising quality. Clients continually benefit not only from our extensive experience in both the Pre-Construction and Construction Phases of the commercial, industrial and institutional construction process, but in the opportunities that we take daily to exceed expectations with attention to detail, time management, and relationship building. ES Homes, LLC thrives on creating long lasting, trusted partnerships with our clients. We take a consultative approach and share in the excitement of the building process. Ultimately, your dreams and visions of the Project, our hard work, diligence and undeniable passion for building a top quality product create a perfect business scenario. 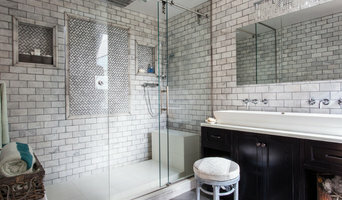 The Interior Design Broker provides all your remodel and new construction needs. From Selections of product and architectural value, to scheduling and interior design satisfaction. We are your Design Superintent. Specialties Blue Orchid Interiors & Design Management is a full service design firm who can work a project from pre-construction to turn key or anything in between. Color consultation, window treatments and bedding, space planning, lighting , furniture & accessories. No job is too small or too big. History The founder and lead Designer, Cheryl Lynne, is the former owner of the successful Interior Design Firm, Cheryl Lynne Interiors, Inc. in Naples, FL. 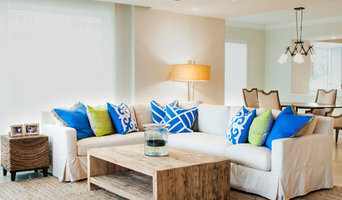 She has now started her new business Blue Orchid Interiors & Design Management to serve the Naples Area. Business Owner Cheryl Lynne has a Bachelor of Arts degrees in Interior Design from Iowa State University. She has over 25 years of commercial and residential interior design experience. Cheryl first moved to Naples in 1993 from Ames, Iowa. She has Midwest values and a strong work ethic. Her passions are people and problem solving. She loves to deliver above and beyond her client's expectations. Nova Homes is a custom homebuilder, building single family homes in Naples and Marco Island, Florida. Founder Frank Arcia who has designed and built hundreds of homes in the past 14 years in Southwest Florida says, "We set very high standards regarding quality and value when designing and building a Nova Home. We are very proud to have been in the Naples and Marco Island market for these past two decades, building each client's dream home. We build custom homes without the Custom Price." Cynde Thompson Interior Design, Inc.
Naples based Interior Designer Cynde Thompson specializes in unique designs that reflect the distinct lifestyle of each client. An innate business sense, love of Naples and an eye for beautiful things led her to open the doors of her own firm as licensed Interior Designer. After graduating from Florida State University with a Bachelor Degree in Interior Design, Cynde has made a name for herself as a professional Designer with over two decades of experience. Cynde's refreshing perspective on classic American design mixed with the coastal elements of Naples living is both timeless and effortlessly sophisticated. Cynde's passion for creating beautiful homes combined with an intuitive understanding of her client’s needs have granted her the opportunity to work on a variety of projects, encompassing everything from traditional to contemporary. South Florida based Wright Jenkins Home Design (WJHD) provides custom home designs for discerning clients and superior model homes for spec builders. With a broad experience in various architectural styles, principal Dave Jenkins specializes in the outdoor/indoor resort style homes typical to the the warm South Florida climate. Dave has also designed homes for clients across the US as well as customers in the Caribbean, Europe and the Orient. As a well established luxury custom homebuilder in Southwest Florida, Potter Homes understands that your home is personal and it should reflect your personality. Potter Homes takes pride in building your perfect dream home. We are a small, family company and we intend to stay that way. We enjoy being able to focus directly on the needs of our discerning customers. Details are what will make your home special. You will quickly recognize that Potter Homes installs premium quality materials and workmanship in the details you see and also in the structure concealed beneath the finishes. We are meticulous and have high standards for our projects but our goal is to exceed even our expectations. Our greatest reward is a satisfied customer who tells their friends that Potter Homes built their dream home! Freestyle Interiors is an exceptionally friendly and caring group of design professionals who take joy in our work and especially in the satisfaction of our clients.